A big crowd of dancers met at the Hall last Friday to learn (or review) the basic steps for Waltz and Two Step. 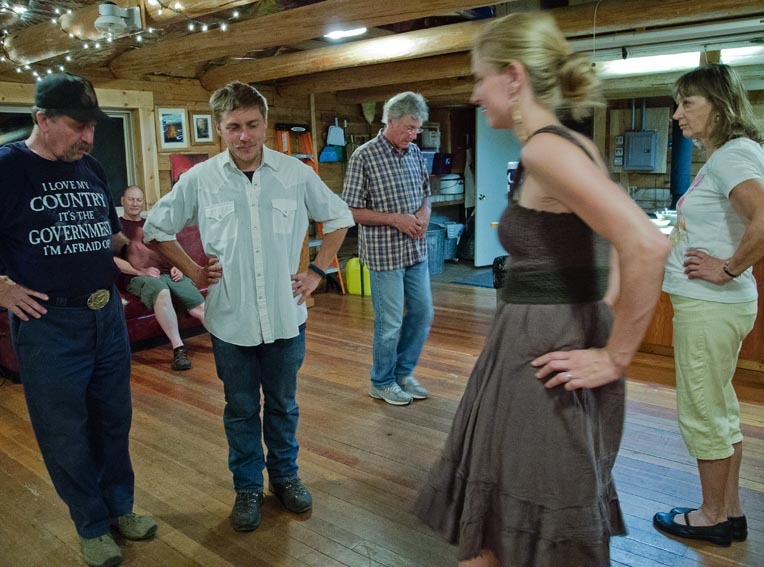 Many first-time dancers were there and by the end of the class, everyone could waltz and two step! Weekly classes will resume on Friday nights in December leading up to the New Year’s Eve Party. Classes will start on Friday, December 7. [Only one week will the class have to shift to Thursday because Christmas Caroling will be happening on Friday night.] Beginners are always welcome! December Dance Class Dates: December 7 (Friday), December 13 (Thursday), December 21 (Friday), December 28 (Friday).